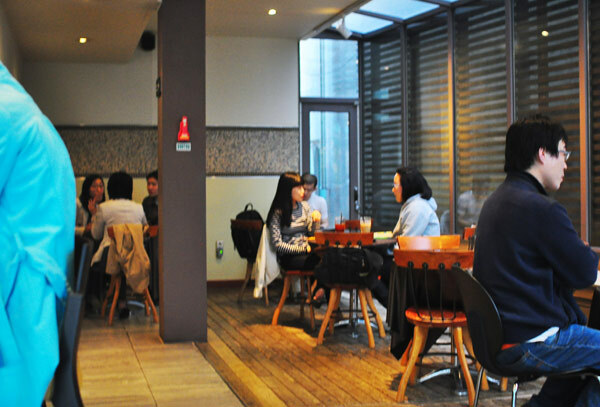 When I came to Korea in 2007 for a summer at Yonsei University, I was excited to see that Seoul is jammed full of cafes – in fact, I don’t think there’s any place in this city where you’re more than a five minute walk from a cup of coffee (if you know of a place, maybe you should open a cafe there…). 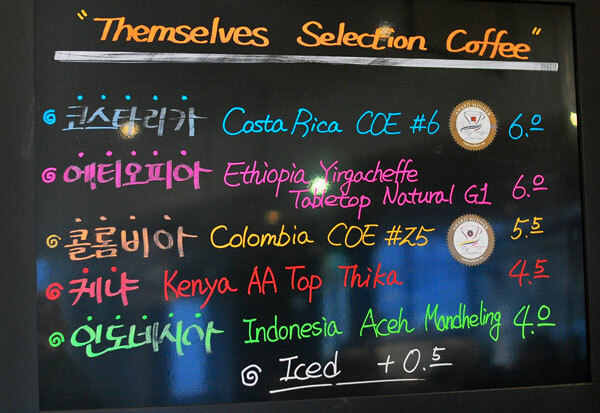 I had been learning more about specialty coffee and espresso around that time, trying all the best cafes in Los Angeles, and I was determined to find great coffee in Korea as well. That search was initially difficult given that instant coffee mix is so popular here, and that even the nicest looking cafes with Probat roasters, expensive espresso machines prominently displayed, and enticing menus full of single origin coffees, usually serve terrible, acrid, bland, or diluted coffee. I think many foreigners in Korea give up and assume Koreans just don’t know anything about coffee. Luckily, that summer, a friend of mine introduced me to Caffe Themselves and my hope was rekindled when I had my first good espresso shot in Seoul. Last week I went back to Caffe Themselves (don’t question the awkward name… it’s Korea, anything goes…) for the first time in quite a while. In the three years following my first visit I’ve been to quite a few awesome specialty cafes in Korea and I wondered how Themselves would hold up. I’m happy to say I was not disappointed! Themselves recently started roasting their own coffee and the effort shows in their single origin offerings. I ordered the Costa Rica Cup of Excellence expecting it to be prepared via pour-over, the norm in Korea, but instead they’re using two Technivorm coffee makers to brew each cup to order. I enjoyed the Costa Rica COE, which was very bright and acidic with notes of sour apple and a bit of caramel sweetness. 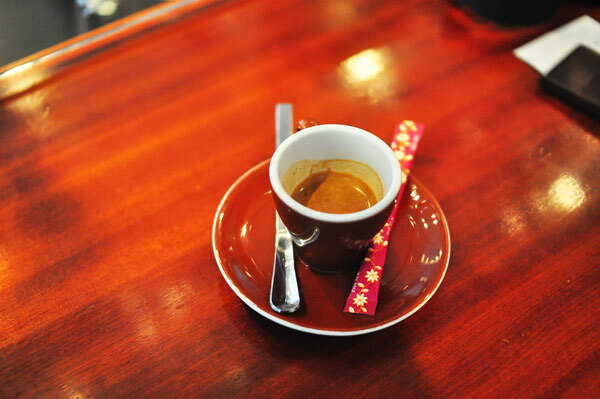 Their espresso is still solid, though the mouthfeel is a bit thinner than I prefer, it’s an enjoyable shot. I’m not sure if they roast their current blend or if they’re still using an outside supplier, but from what I was told, they’ll be introducing a new espresso blend this summer, so watch out for that, it sounded good. 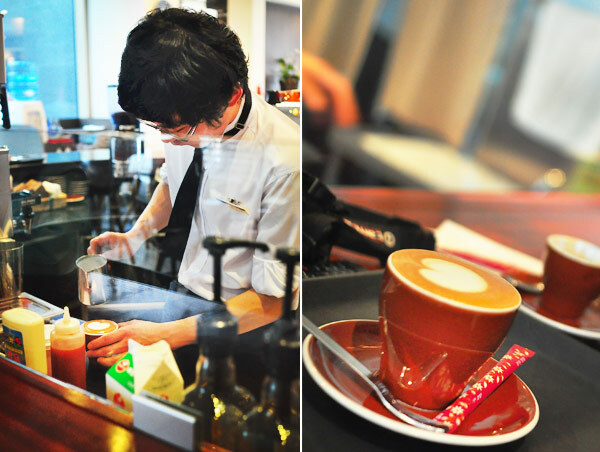 Themselves also offers both ‘Starbucks style’ and ‘Traditional Italian’ style cappuccinos and other milk drinks. Naturally, the traditional style drinks are much better tasting with their smaller size and greater ratio of coffee to milk, so make sure you specify that in your order. The cappuccino was tasty and well prepared, as you’d expect from staff that have been busy winning all kinds of awards and certifications. 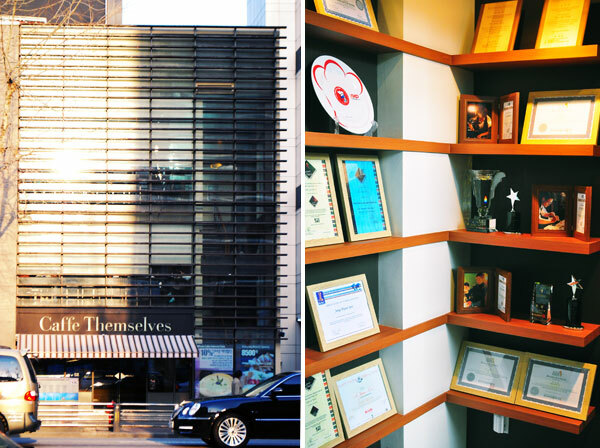 Below you can see their award wall, including Korean Barista Championship winners and participants, SCAE barista certifications and membership, awards for their bakery staff in international competition, and many more. Caffe Themselves has a slightly classier vibe with their white shirted, tie-clad staff and bright second and third floor seating areas. The bar area at the counter is fun to sit at and watch the baristas, and when they’re playing jazz on the store’s radio it all kind of comes together nicely. 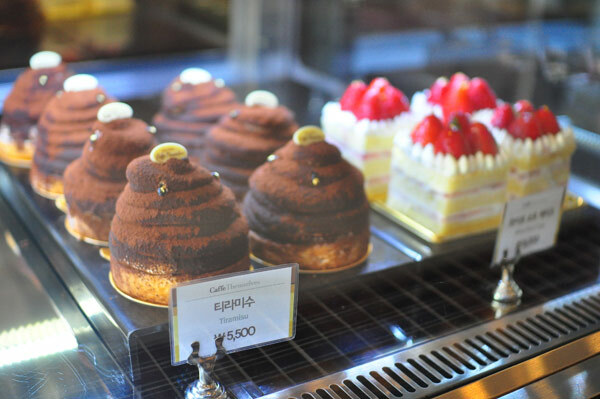 They also have a huge selection of pretty amazing pastries, chocolates, and cakes from their in house bakery. 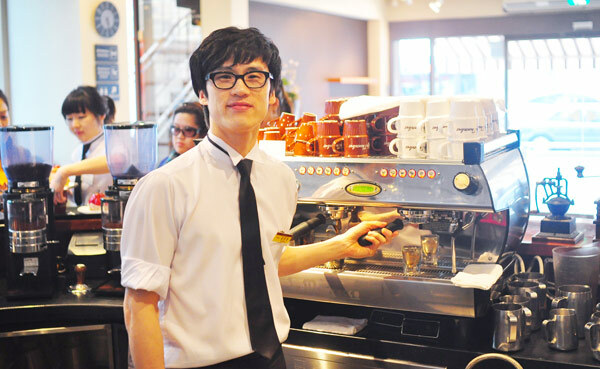 When we visited, 2008 Korean Barista Champion Yoo Jung Hyun (above) was working there. We had a nice time chatting about their coffee and tasting a bunch of drinks, thanks again! 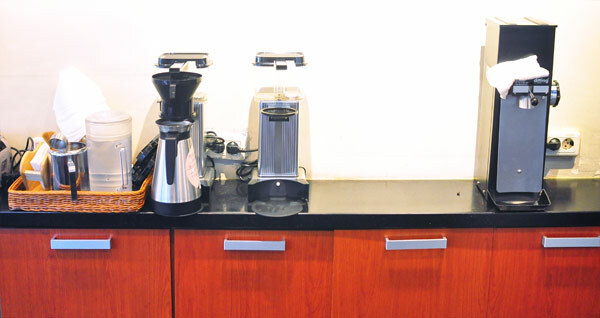 We’re looking forward to trying the new espresso blend this summer, but we’ll probably be back sooner than that. Head to Jongno-3ga station, exit 15. Walk straight for a couple minutes and turn left at the Burger King. It’ll be on your left.